Marciano adds, “AEG has always worked hard to put artists first. At the same time, we must respond to the actions of those we compete with, specifically Live Nation and Madison Square Garden. Fighting for a level playing field is fair competition at its core.” Ozzy Osbourne is suing AEG, claiming the entertainment group is essentially blackmailing him to perform at the Staples Center … or else. Ozzy is scheduled to perform at the O2 Arena in London, but AEG has a giant string attached … they won’t let him play the O2 unless he also performs at Staples in L.A.
Osbourne has set his sights on the newly refurbished Forum in nearby Inglewood … not so much because he’s set on performing there, but because he wants a bidding war between Staples and The Forum so he can line his pockets with more money. 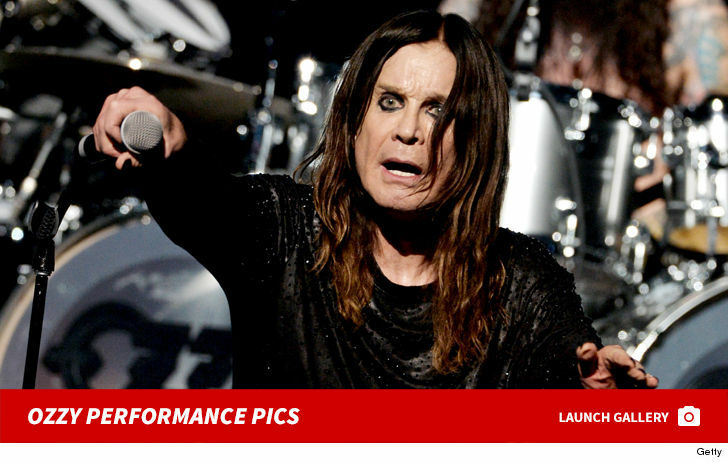 According to his agreement with AEG, if Ozzy performs anywhere within a 25-mile radius of L.A. he MUST perform at Staples, and that takes away his leverage. As for the O2 Arena … the only way he can play there is if he plays ball with AEG in Los Angeles.